This is a rare model of NSU Quickly, being the company’s deluxe version with extra bodywork. This Quickly is running, and has a new MOT and tax. 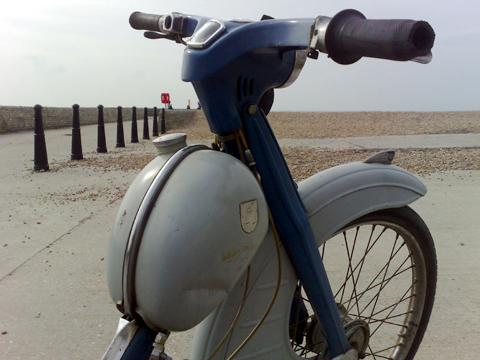 There is a large file with photocopies of spares lists, etc and an original owners handbook. It’s ready to jump on and use. 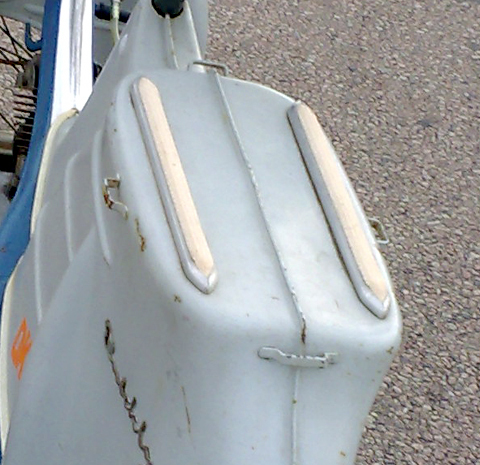 On the sides of the parcel shelf behind the saddle (see below) are 4 retainers. 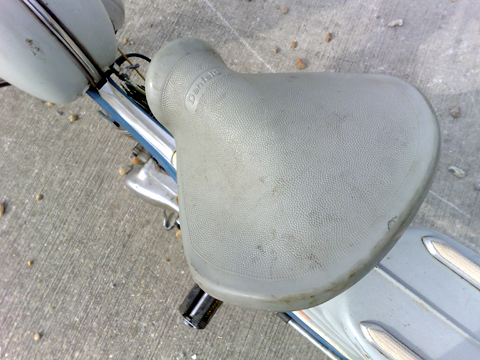 These fitted special straps with clips that were sold by NSU. They were like an early version of a bungee. You could either strap down a shopping bag, or fit a large box on the back. 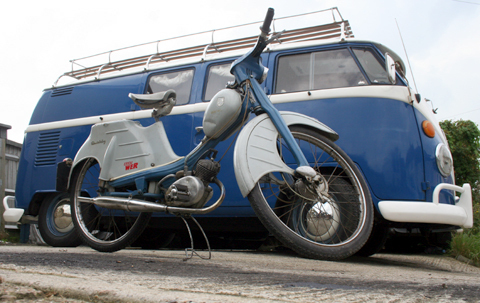 The Model L Luxus is my favourite NSU Quickly design. As it says in the advertising brochures for the Quickly L, NSU had made half a million Quicklys by the time this model was launched. 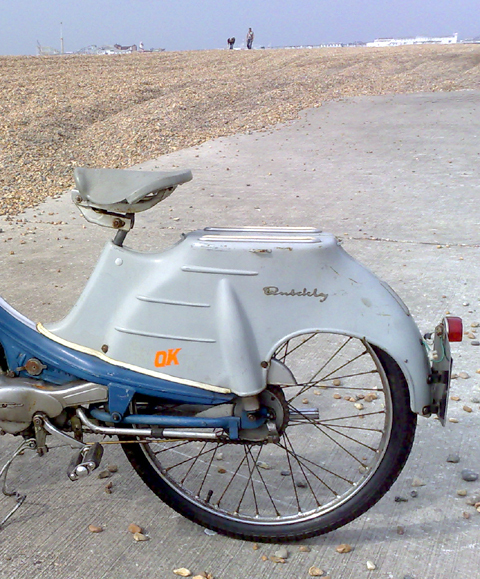 That made the Quickly the most successful moped to date (subsequently surpassed by the Honda 50 in the 1960s). 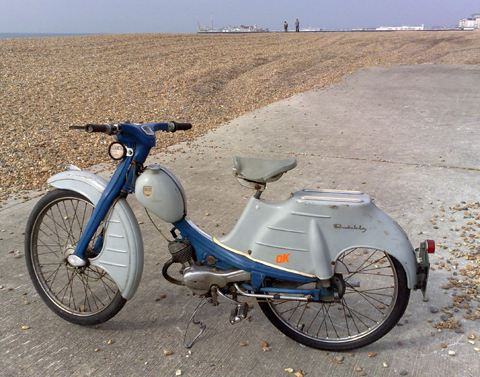 The enclosed bodywork of the ‘L’ was the result of demand for ’scooterettes’ which were essentially mopeds with extra bodywork to make them look more like scooters. These were particularly popular in Belgium. 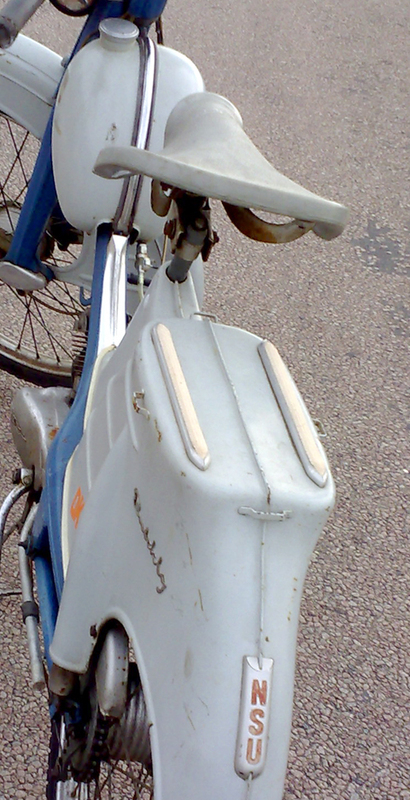 The design was, of course, copied by Honda for its Step-through moped.